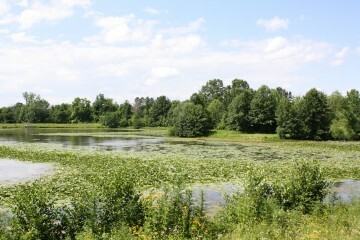 Blendon Woods Metro Park, is located east of Columbus. 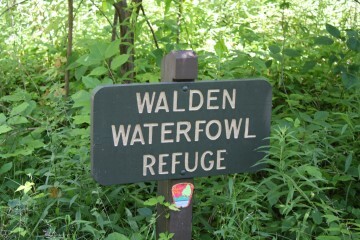 This park consists of 653 acres of woods, fields, trails, a nature center, the 118 acre Walden Waterfowl Refuge and Thoreau Lake. 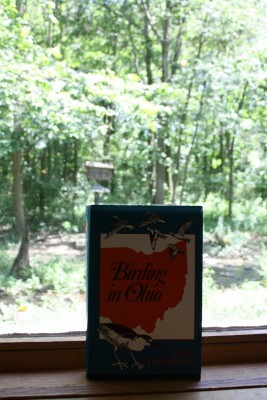 Visit the nature center to discover the various bird, animal, and insect species that frequent the park. 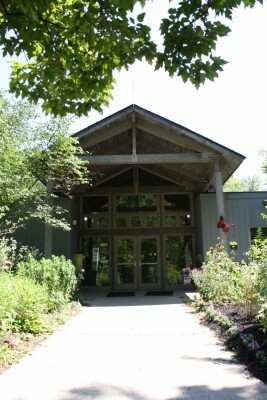 After visiting the nature center, walk the path to the observation shelters to view the wildlife on Thoreau Lake. 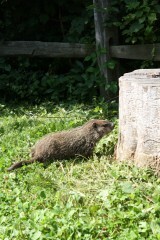 Don’t be surprised to see wild turkeys (along with groundhogs, wooly worms, and other wildlife) cross your path! 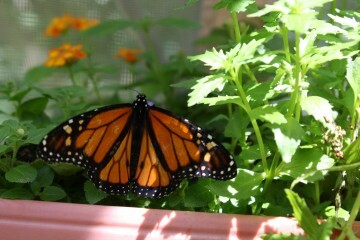 During the months of June through September, visit the Monarch Mansion. 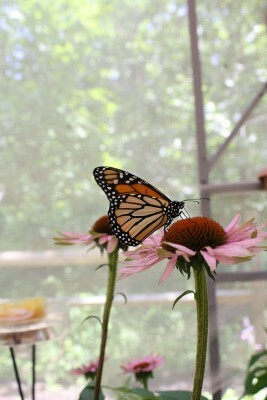 This screened-in tent, allows park visitors to spend time with these beautiful butterflies. 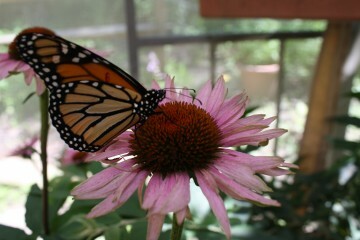 Lured by several flower species and nectar feeders the butterflies are attracted to this tent habitat. Take the opportunity to snap photos of these photogenic creatures while they are feeding. 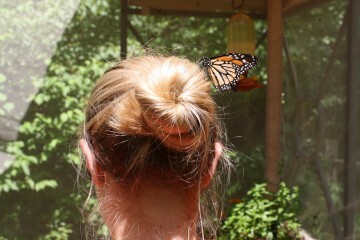 If you stand still long enough, the monarchs might even rest on your shoulder or head, one friendly butterfly landed on my hair bun several times! 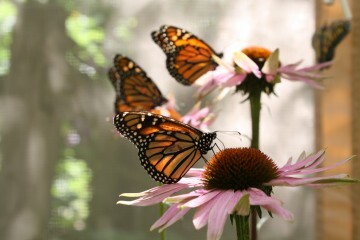 Take time to stand or sit in the tent with the butterflies and ponder at their beauty. 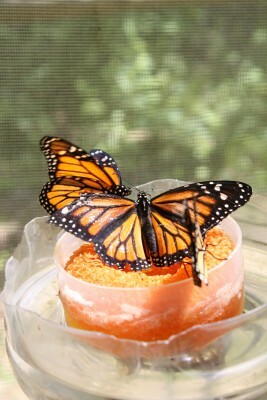 Watch them flutter and dip throughout the tent and wonder how these tiny creatures make such an amazing migration. These little beauties will grow and fly in the screened-in tent until the Blendon Woods annual Monarch Day. 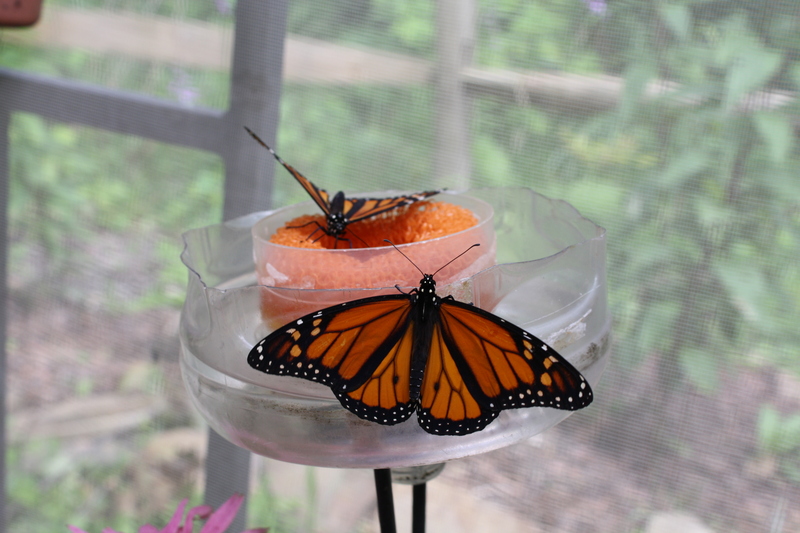 In which, the butterflies will be released into the wild to begin the 2,000 mile journey to the oyamel fir forests in central Mexico. 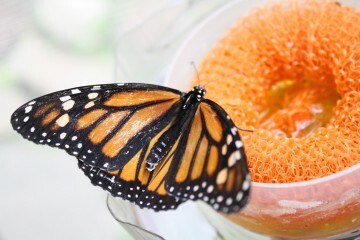 It is amazing that these delicate looking creatures can survive a journey that long! 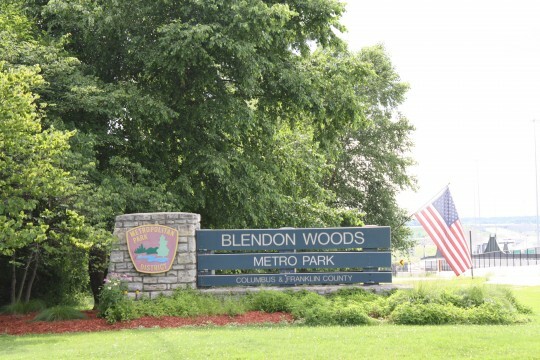 Visit the monarch butterflies at Blendon Woods Metro Park before they fly away!